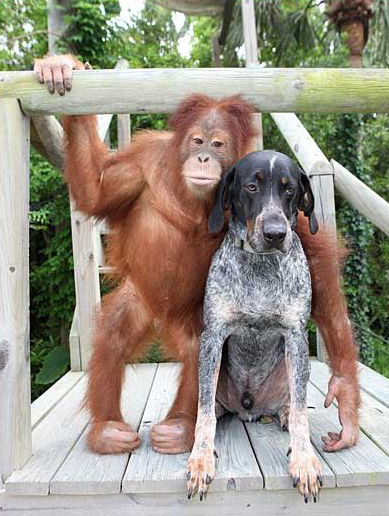 Best friends, Surya the orangutan and Roscoe the Blue Tick hound dog, were recently featured on National Geographic. 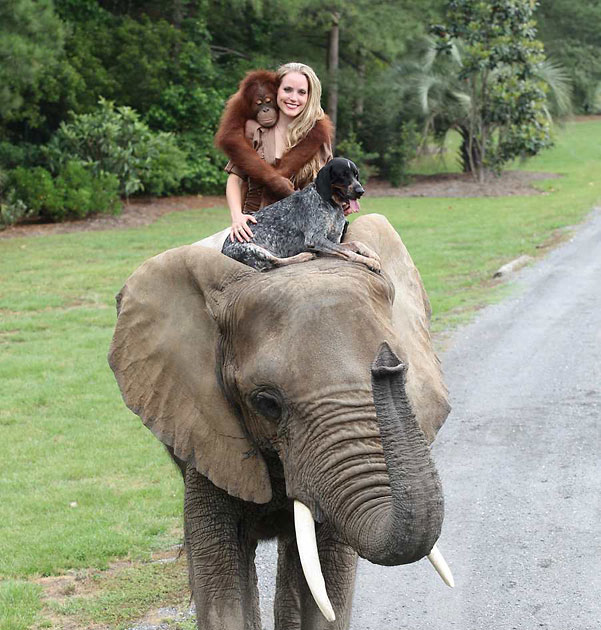 The orangutan was out for his daily elephant ride when he spotted “a worn-out old hound dog.” They ran right toward each other and hugged like long lost best friends. 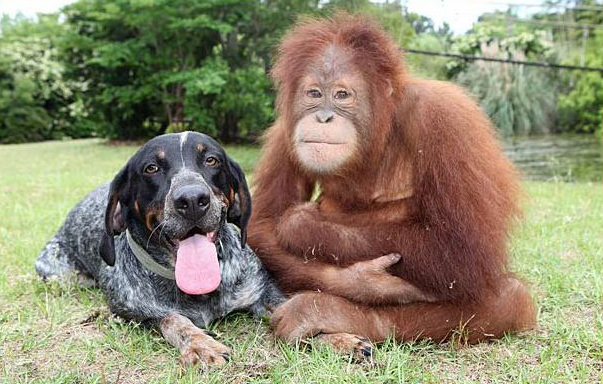 “Roscoe looked really thin and a little lost, so we fed him and took care of him. 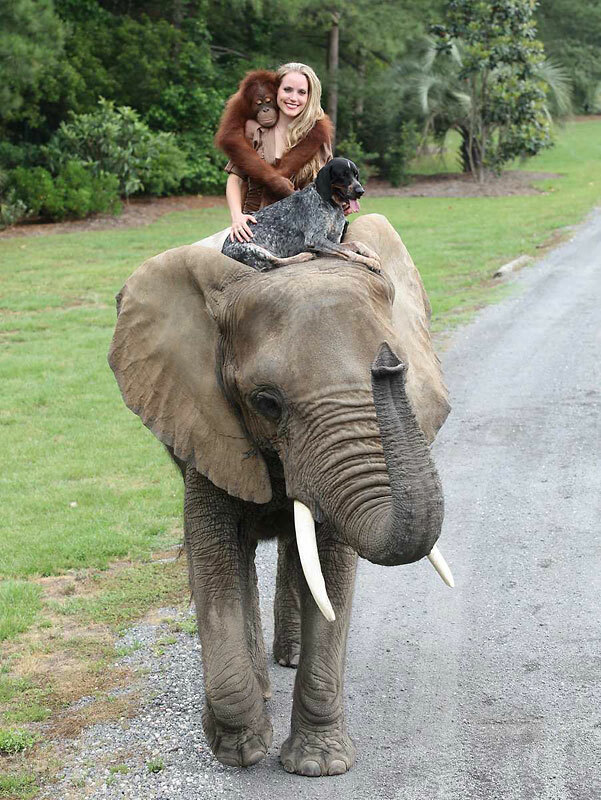 He followed us through the gate and ran over and found Suryia. As soon as he saw Roscoe, Suryia ran over to him and they started playing. 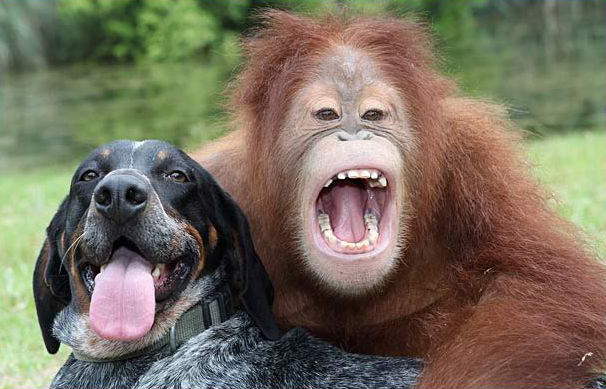 It was unusual because dogs are usually scared of primates but they took to each other straight away. We made a few calls to see if he belonged to anyone and when no-one came forward, Roscoe ended up staying. 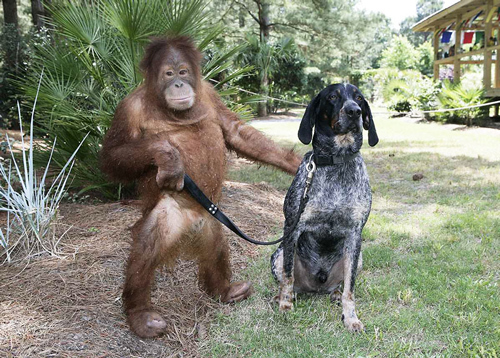 Suryia even takes the dog for his walks. 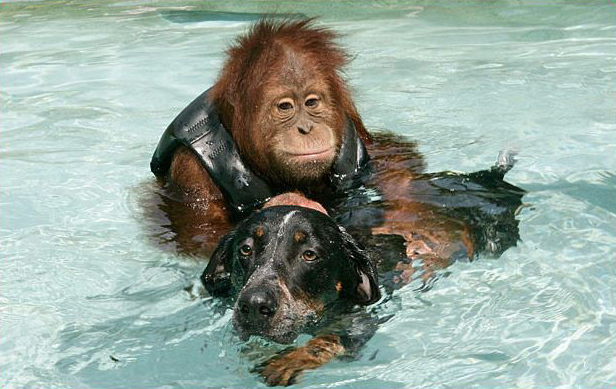 Swimming is one of their favorite pastimes, although Suryia is a little afraid of the water and needs his friend’s help to swim. I don’t know……some say life is too short, others say it is too long, but I know that nothing that we do makes sense if we don’t touch the hearts of others…….while it lasts! The most beautiful personification of life in form of this friendhsip between Surya and Roscoe. Another heart-winning story that teaches us a valuable lesson. 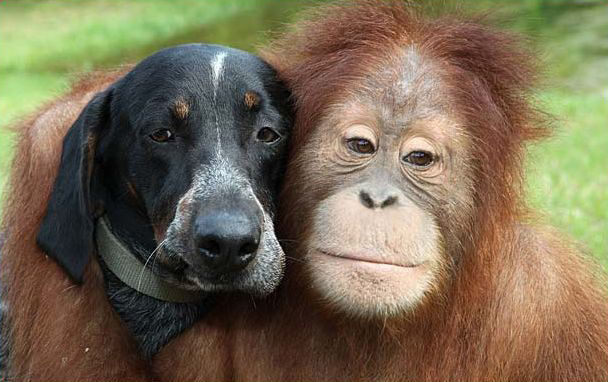 Love actually does not have any boundary of Cast,Religion,Profile,Species,Class etc….. Thank you for sharing this beautiful story. 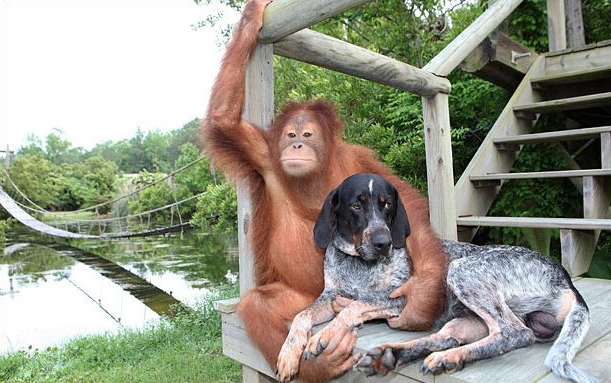 It nourishes my soul to learn of such special friendships. 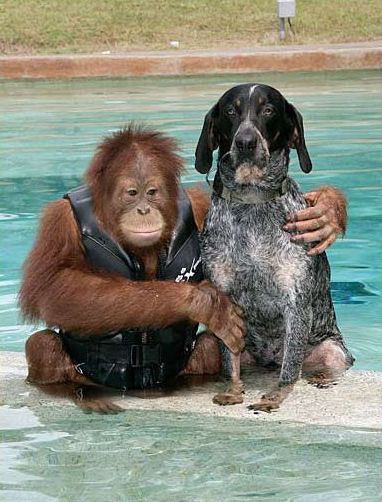 We humans must look to our animal friends for a high moral example.